I was so happy to receive Wyett Preschool Gold for Nate – although, I have to say that this product will have to stay in the storage for now until Nate is 3 years old. Also, I am still breastfeeding and haven’t weaned him yet. Good thing the milk doesn’t expire ‘til Sept. 2017. Nate will turn 3 on May 2017, so that’s just perfect. 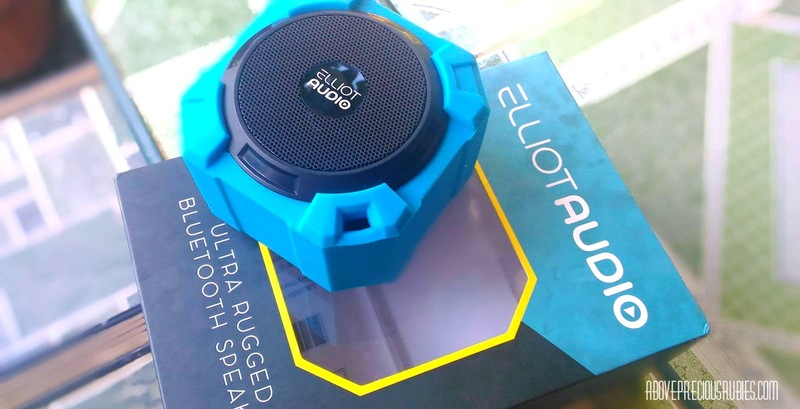 If you personally know me, you are aware that I’m not a very techy person, so this review is from a mother and a regular woman who loves listening to music.This is my very first Bluetooth speaker so I feel so naive unboxing this thing! Haha! But here’s what I love about this product. When you have a toddler, expect your gadgets to drop and be thankful if it just dropped once! Lol! A few seconds after I unboxed this speaker, Nate took it and dropped it right away! Binyagan!!!! Haha! Good thing this product is covered with a jelly case that made it shockproof. Products like this is what mothers like me need. 2. It has all the “proof” you need! Proof for what? I don’t mean the evidence; I mean (a.) waterproof, (b.) shock proof & even (c.) rust proof! Wow, this product is amazing! I so look forward to using this with my devices for a long time! This, above all, is what we need in speakers! I call this speaker “small but terrible”! I don’t need any speakers to plug near my laptop anymore, less hassle! This is super handy and perfect for me. Although, we have to know that since Bluetooth is a wireless radio signal technology, there are cracking sound sometimes, specially when both devices are away from each other. Also, any objects between the paired devices affect the performance of the speaker, like walls, big items and doors. I checked the price of this product online and I was surprised to learn that it only costs no more than 1,000 pesos! Wow, you sure get so much from this speaker for that amount! This is at 999 pesos in kimstore.com, just a site I found online. – Support A2DP and and built with a 5W speaker. It can streams incrediable stereo sound with full range output, crystal clear articulate high end. – It has built-in MIC Bluetooth speaker and hands-free function, so you can conveniently pick up a call by this mini speaker in car, bathroom, at home or office, anywhere during it is connected to your Smartphone. Thanks again to Greenbulb PR, I am so happy for this product! Do you own a Bluetooth speaker? What do you love about it? *This product was sent to me at no cost. I am not obliged to do a product review in exchange of the product, all opinions are my own. Chips Delight Contest, I won! Wohoow! I received a bluetooth speaker this holiday too. It is from Pilipinas Teleserv. I was about to buy one pa naman, buti na lang dumating bago pa ako makabili. So far, it works fine. Great review! Now, I want Bluetooth speaker for change, same as picture above. Love the color blue pa naman. Hi! I'm sorry, I don't know the answer. 😀 Pero I think it's loud enough for a room of 30 students (idk why I'm thinking of a classroom, lol! ).